Invasive, clinically non-metastatic bladder cancer has a cure rate of only 50% , when all T stages are considered. The pattern of relapse is dominated by systemic spread, provided that optimal surgery is practiced. Occult metastases are thus most likely to be present at first presentation. For more than 30 years, therapeutic strategies have focused on the use of systemic chemotherapy before, during or after loco-regional therapy to produce cure. More aggressive surgery and more precise radiation techniques in addition to improved chemotherapy have also been tested to improve cure rates. Genetic analysis has focused on prediction and prognostication, without yet having a major impact on outcomes. New agents have been tested in the neoadjuvant and adjuvant setting, but have not yet proven superior to standard algorithms, such as neoadjuvant MVAC chemotherapy. Many studies have tested ineffective metastatic regimens in the neoadjuvant setting without success, giving rise to the maxim that ignoring logical rules of investigation will not advance clinical practice. Leveraging molecular prognostication and immune responsiveness of urothelial cancer may produce the next era of progress. Five simple rules are proposed to guide the development of future studies. Invasive bladder cancer represents a useful metaphor for the treatment strategies for all solid tumors. The past thirty years has seen the evolution of increased understanding of the molecular biology of this disease, and the application of this knowledge to the design of clinical trials. In parallel, different modalities of treatment have been added to the therapeutic armamentarium, reflecting the natural history of the disease, and the limitations of each treatment. Randomized trials have identified clear progress in improving median survival and cure rates, but the clinical application of these advances has been marred by some missteps. This review considers approaches for the future, integrating knowledge gained from the past three decades, and proposes rules (Table 1) for the rational development of future treatment strategies. Invasive, clinically non-metastatic bladder cancer, representing about 20% of new cases, includes tumors that penetrate through lamina propria into muscle and beyond. Thus more than 17,000 new cases occur each year in the USA, and also some cases of non-invasive bladder cancer eventually become invasive, but are not reflected in national incidence figures for invasive disease. In the USA, a reasonable estimate is that more than 20,000 patients require treatment for invasive bladder cancer per year . Most bladder cancers (90% ) are urothelial carcinomas (UC), formerly termed “transitional cell carcinomas” (TCC) [1, 2], which is the focus of this review. Other cell types include squamous cell carcinoma, adenocarcinoma, small cell carcinoma and very rarely sarcoma, lymphoma, or melanoma [3, 4]. Invasive bladder tumors are usually moderately to poorly differentiated [1, 2]. Our xenograft studies suggested the existence of a stem cell tumor of origin in bladder cancer, explaining why urothelial carcinoma may coexist with (and perhaps give rise to squamous and glandular patterns ofcancer . We have also demonstrated in these models clonal heterogeneity, reflected in histology and ultrastructure, tumor growth kinetics, expression of growth factors and their receptors, and response to treatment [5, 6]. When planning treatment of invasive disease, it is important to consider conventional predictors of outcome – stage and grade are the dominant prognosticators [1, 2], and solid growth pattern, large size, aneuploidy, lympho-vascular invasion and the presence of hydronephrosis may also have an adverse prognostic import, as reviewed previously [1, 2]. The genomic revolution has evolved, in part, in parallel with our understanding of the molecular biology of bladder cancer [7–14]. An early study reported that lack of expression of ABO blood group substances on the surface of noninvasive bladder cancer cells correlated with higher rates of relapse and progression to invasion , and it was speculated that this could either reflect the impact of differentiation or potentially immune reactivity. Invasive and less differentiated tumors of the bladder are associated with aberrations of chromosome 17, often with P53 mutations, and it appears that P53, Rb and P21 are linked, functioning as a complex, with outcome being linked to the expression or absence of each component of the complex [8–10]. This remains controversial and more recent studies have not confirmed these associations [11, 12]. Of particular importance was a recent randomized trial that tested the hypotheses that P53 mutation connotes for worse natural history, and that improved adjuvant response would be associated with P53 mutation . Neither hypothesis was validated, although it is important to note that poor accrual and patient refusal to participate in this randomization, and an unexpectedly low recurrence rate, may have contributed to the unexpected result. Other studies initially suggested that P53 mutation was associated with resistance to neoadjuvant chemotherapy with the methotrexate-vinblastine-doxorubicin(AdriamycinR)-cisplatin (MVAC) regimen . A detailed study of molecular prognosticators in patients treated with the MVAC or cisplatin-methotrexate-vinblastine (CMV) regimens for advanced bladder cancer at Princess MargaretHospital, Toronto, did not identify any prognostic impact from expression of P53 immunohistochemically . It was not clear whether this reflected a true lack of prognostic relevance or is an artifact of methodology or small sample size. That said, in this small study, metallothionein expression did have statistically significant prognostic implications. Metallothioneins are a family of sulfhydryl-containing cysteine rich compounds that are involved in absorption, transport and metabolism of heavy metals, and which may be related to resistance to cisplatin and alkylating agents . Increased concentration of metallothionein in mice caused a reduction of nephrotoxicity, accompanied by cisplatin resistance in mouse bladder cancer , an observation supported by clinical studies . Another sulfhydryl rich compound, the intracellular scavenger, glutathione, decreases the available level of cytotoxic agents, such as cisplatin, within tumor cells, thus also correlating with resistance. In bladdercancer xenografts, we identified high levels of glutathione , higher than are found in melanoma and ovarian cancer, the classical models of the role of glutathione in cytotoxic resistance. We also showed this protein in present in human bladder tumor biopsy specimens in higher concentrations than those found in normal bladder tissue. The measurement of this protein has not become a standard predictive test in the management of bladder cancer, although there are several sets of preliminary data that implicate glutathione and glutathione-S-transferase in the biology of responses to chemotherapy. RAS mutations are associated with loss of differentiation and a worse prognosis , and genetic markers of tumor vascularity and angiogenesis also reflect worse natural history and response to treatment . Some of these genes may interact, at a molecular level, with functions of the P53 tumor suppressorgene. The epidermal growth factor receptor (EGFR) is another prognostic determinant for bladder cancer . This cell surface protein, with known cell growth regulatory functions, is correlated with expression of P53, aneuploidy, and invasive growth , but may also play a role in resistance to cytotoxic agents, such as cisplatin . The Radiation Therapy Oncology Group (RTOG) have carried out retrospective analyses of their series of cases treated with radiotherapy and cisplatin-based chemotherapy, and have demonstrated that expression of EGFR is associated with improved outcome, including response to chemoradiation, whereas expression of the her-2-neu gene correlates in univariate analysis with reduced response and survival after such treatment . The transferrin receptor , also located on the surface of bladder cancer cells, which has metallic ion transport functions, also correlates with natural or treated history of invasive bladder cancer. The multi-drug resistance (MDR) phenotype orp-glycoprotein expression has also been shown to affect response of bladder cancer to certain cytotoxics, such as doxorubicin and the vinca alkaloids , and this may have confounded some of the above studies related to the impact of P53 on response to these agents. Oligonucleotide arrays also have been used to analyze the transcript profiles of bladder tumors and immunohistochemical analyses of tissue arrays have validated the associations between marker expression, staging and outcome. It has been claimed that they are able to prognosticate with more than 80% accuracy . At a more sophisticated level, transcript profiles of more than 100 bladder specimens, representing the spectrum from normal to relatively benign to malignant disease, have been studied in an attempt to identify useful novel prognosticators . In an interesting molecular fishing expedition that using available technology, but was not necessarily hypothesis-driven, a hierarchy of determinants was reported, each associated with a difference in survival, including peptidyl propyl isomerase A, nuclear RNA export factor 1, tetratricopeptide repeat domain G, hematopoietic cell specific Lyn substrate 1, ankyrin G, baculoviral IAP repeat-containing 3, intercellular adhesion molecule 1 and TP53-activated protein 1. Several of these did not relate to a strong underlying biological hypothesis and have not been pursued clinically. Thus overlapping and interacting molecular functions regulate growth, differentiation, response to treatment and prognosis of bladder cancer. However, it is important to identify real, biologically relevant factors and distinguish them from innocent bystanders revealed by batteries of complex molecular tests. Several of these oncogenes and suppressor genes may be suitable candidates for gene or targeted therapy, or for downstream regulation through inhibitors of transcription and translation. Others have extended these concepts by attempting to develop a molecular taxonomy for bladder cancer, and have identified a genomically unstable variant, which shares most of the features of invasive bladder cancer, with a complex molecular construction that suggests potential responsiveness to immune manipulation and the need for multi-agent cytotoxic management [26, 27]. This prediction has certainly been validated by the failures of simple, single cytotoxic agent studies of the past . Another emerging domain for potential management of invasive bladder cancer is our expanding understanding of the molecular biology of the immune response. The possibility that expression of blood group antigens on the surface of bladder cancer cells impacts survival  via immunological mechanisms, and the evidence that stimulation of the immune response via intravesical BCG is associated with regression of non-invasive bladder cancer  suggest another avenue for treatment of invasive disease. However, a small, underpowered Brazilian studysuggested that this approach is not effective for invasive disease . However, at the Annual Scientific Meeting of the American Society of Clinical Oncology in 2014, cabozantanib, a tyrosine kinase inhibitor which is active against MET and VEGFR, was shown to inhibit immunosuppressive T cell subsets with an apparent anti-cancer effect in metastatic bladder cancer . Of importance, this agent has already been shown to have clinically meaningful activity against cancers of prostate and kidney. While this was only a preliminary communication that requires further validation, it suggests a potential avenue of novel therapy for invasive bladder cancer. In parallel, others have shown that PDL-1, a gene involved in the biology of T cell inhibition and response, is heavily expressed in bladder cancer, and that MPDL3280A, an agent that reacts with PDL-1, inhibiting the interaction between PDL-1 and PD1, causes objective tumor responses . The level of anticancer effect appears to correlate with expression of PDL-1, and there is also a correlation with survival. In view of the modest toxicity profile and apparent anti-cancer efficacy in bladder cancer, it seems likely that MPDL3280A and similar agents will find a useful role in the management of metastatic bladder cancer, and potentially as an ancillary in neoadjuvant or classical adjuvant therapy. Thus it seems that the integration of our evolved concepts of molecular prognostication and prediction, augmented by our newly defined interest in immune-response in invasive bladder cancer, and the recognition of the need to address multiple targets in our therapy strategy affords the most likely laboratory-based approach to rational trial design and progress for the future. In constructing any molecular taxonomy, we need to include genes that are logically relevant to the biology of response, as summarized above, in addition to those that are randomly available in the commercially available or other panels. The least aggressive surgical treatment of bladder cancer is transurethral resection (TUR) or fulguration, which removes the tumor endoscopically, while attempting to spare the bladder. Several early series, and the programs of chemo-radiation have relied upon this approach [33, 34]. While there is the clear benefit of bladder retention, there is less certainty from this approach regarding staging and true tumor clearance, particularly as the limitations of non-invasive imaging are well known. Partial cystectomy, with removal of the tumor-containing portion of the bladder in highly selected cases, gives greater certainty of local tumor clearance, usually with retention of the bladder in situ . In most instances, the pathological staging with regard to lymph nodes is less robust when partial cystectomy is performed. Thus both of these conservative options provide less certainty with respect to true clearance of loco-regional disease, which may impact the cure rate, even when combined with systemic therapy (and thus may impact the apparent effect of systemic therapy). The standard of care for most patients with invasive bladder cancer is radical cystectomy, which includes clearance of draining pelvic lymph nodes [36–38]. The cure rate depends on well-defined prognostic factors, including conventional indices, such as stage and grade, and the more recent prognostic factors discussed above. In addition, it appears that delay in cystectomy may lead to impaired survival . Cure is even possible from surgery alone in locally advanced disease , although the chance is much lower. It has become clear that surgical experience is an important factor in the success of local tumor clearance , and thus may have a substantial impact on the results of combined modality treatment. In the past decade, laparoscopic surgery has been introduced into the care of invasive bladder cancer. The initial reports were encouraging, although it was clear that there is a substantial learning curve for the tyro, during which local complications are higher and the benefits less obvious [40, 41]. Despite a great deal of rhetoric, this technology has rarely been tested in a randomized fashion, and the sole, published early report of a randomized trial has seriously questioned the true benefits of this surgical technology . One should always be cautious in the interpretations of non-randomized studies comparing laparoscopic and conventional surgical approaches because of the risk of substantial case selection bias . I have a real concern that the rush to introduce unvalidated, novel surgical techniques, without the benefit of true comparison against standard surgical procedures, may yield worse outcomes that will be masked by chemotherapy. For example, as discussed below, the purported usefulness of adjuvant chemotherapy in the EORTC randomized trial testing its utility  may well reflect a compensatory effect that offsets inadequate surgery. The use of radiotherapy as an alternative to cystectomy for invasive bladder cancer was previously favored in parts of Europe and Canada, although the pendulum has swung towards radical cystectomy in recent years because of the perception of higher surgical cure rates. Of importance, literature comparisons between the results of surgery and radiotherapy for bladder cancer, reflect the comparison of surgical versus clinical staging, and patients treated in radiation series are characteristically older and less robust. The traditional approaches to radiotherapy included doses of external beam irradiation in the range of 50–70 Gy, with a higher level of local control achieved in series reporting higher dose targets above 65–70 Gy [44, 45]. Ideal radiotherapy candidates have had aggressive pre-radiotherapy TUR, absence of extralesional carcinoma-in-situ, no anemia, and no hydronephrosis . Of particular importance is the definition of the site and size of the tumor, and treatment planning should require a planning CT scan in the prone position, with periodic on-treatment CT scan assessment to ensure adequacy of ongoing coverage of the tumor and tumor bed within the treatment fields. Analogous to the quality of surgery, radiation technique and dose have a substantial impact on the outcome of chemo-radiation approaches. Investigators at Massachusetts General Hospital , from Europe  and within the Radiation Treatment Oncology Group (RTOG)  have made seminal contributions in evolving the technology of chemo-radiation for bladder cancer, and providing an option as an alternative to cystectomy. Unfortunately, although it has been demonstrated quite clearly that chemo-radiation produces better local tumor control than radiation alone , none of their studies have addressed a randomized comparison against combined modality approaches with surgery as the definitive treatment. The pattern of serial reporting and updates, with historical comparisons , while impressive, really has not helped us to shape a definitive approach to treatment of all patients. Unfortunately this approach has loaded long-term follow-up reports with significant numbers of less mature cases, thus with the potential to artificially inflate the survival curves. In fairness, one should note that it is highly unlikely that the broad community of urological oncologists would have supported a randomized trial of surgery versus any type of chemoradiation or radiotherapy for invasive bladder cancer. James et al. have recently reported the results of a randomized comparison of chemoradiation with 5-fluorouracil-mitomycin C versus radiation alone. In a series dominated by patients with clinical stage T2 disease, this trial demonstrated improved response rate, progression-free and overall survival achieved by chemoradiation . • if radiotherapy is planned, it may cause enhanced radiation responsiveness via synergistic effects between some cytotoxics (e.g. doxorubicin, cisplatin, 5-fluorouracil, mitomycin, gemcitabine) and the biological impact of radiation. In the mid-1980s, the MVAC and CMV regimens were shown to be highly active against metastatic bladder cancer with apparently superior results to single agent therapy [56, 57], an improvement confirmed in an international randomized trial . With emerging understanding of the molecular complexity of bladder cancer, it was logical to test these complex regimens in the neoadjuvant setting and initial results were again very encouraging [59, 60]. Randomized clinical trials were then designed to test the use of neoadjuvant MVAC and CMV in association with cystectomy or radiotherapy, and I was privileged to be involved in the design and/or execution of two key trials. The MRC-EORTC-International trial of neoadjuvant CMV, which recruited 976 cases between 1989–1995, was designed to identify a 10% difference in long-term survival, but failed to do so (achieving a 6–7% difference in outcome) and was thus reported initially as a “negative” trial ; however, a recent long-term update showed a sustained 6% 10 year survival benefit from neoadjuvant CMV, with a more obvious impact in surgical cases . The hazard ratio of.84 (indicating a 16% reduction in death) favored combined therapy (p = 0.037). By contrast, the RTOG, also testing the utility of neo-adjuvant CMV chemotherapy followed by chemo-radiation versus chemo-radiation alone, showed identical three year survival . This may have reflected a different patient population or perhaps the impact of the cisplatin chemotherapy in the chemo-radiation components of each treatment arm. Although the North American Intergroup trial of neo-adjuvant MVAC revealed a very dramatic difference in median survival (6 years versus 3.8 years), the absolute improvement in long-term survival and potential increment of cure rate was also of the order of 7 percent . This improvement is consistent with the Nordic cooperative group trial 1  and most cisplatin-based combination regimens, as summarized in our meta-analysis  (see also Table 2). These data suggest that deeply invasive bladder cancer should be treated by neoadjuvant MVAC or CMV chemotherapy followed by cystectomy if the patients are deemed fit for chemotherapy and surgery. For less physically robust patients, the combination of gemcitabine-cisplatin is a reasonable alternative, although there are no level 1 data to prove its equivalence to the regimens listed above. Adjuvant (postoperative) chemotherapy has shown some promise in improving disease-free survival for patients with invasive bladder cancer. Randomized trials assessing the utility of combination chemotherapy (such as the combination of methotrexate, vinblastine, and cisplatin, with or without doxorubicin or epiribicin – the CMV, MVAC or MVEC regimens), administered after radical cystectomy for patients with deeply invasive disease and/or involved lymph nodes, have all shown improved disease-free survival [66–69]. However, many of the published trials have been weakened by poor statistical design or execution, and these studies have not demonstrated a statistically significant improvement in overall survival. For example, in one study from Germany, there was an uneven distribution of salvage chemotherapy (with one arm not providing for routine chemotherapy at any time after relapse, but rather referral to palliative care), making the trial a test of chemotherapy at any time after cystectomy, rather than addressing the role of early chemotherapy as classical adjuvant treatment . The interpretation of data in this study was confounded in one report by the addition of non-randomized cases into the follow-up analysis . This study was included in a meta-analysis that purported to demonstrate a benefit for adjuvant chemotherapy, despite the fact that it didn’t actually test that hypothesis . The study reported from Stanford University  was predicated on disease-free survival, and thus was correctly closed early by its Data Safety and Monitoring Committee, and there were insufficient cases to provide a meaningful overall survival analysis. As noted above, disease-free survival benefit should not be the key parameter for success of adjuvant studies as it negates the impact of salvage therapy . The EORTC attempted to address this issue in a well-designed, randomized trial, in which standard local therapy has been compared to standard local therapy plus the addition of adjuvant chemotherapy . Unfortunately this important trial closed prematurely due to lack of accrual, presumably because of preconceptions of participating clinicians (or their patients) about the use of chemotherapy, and it will now be challenging to produce level 1 data to resolve the issue. In a recent report, these investigators noted a statistically significant disease-free survival benefit, but only a non-significant trend in favor of chemotherapy. Their most paradoxical observation was that the only group with a meaningful impact was that with node NEGATIVE, locally advanced disease, suggesting that chemotherapy may have overcome inadequate surgery. Logic might have dictated that the likely group to show benefit would have been those with nodal involvement. Also relevant to this issue is the randomized P53 study noted above . While this study was not designed to address the utility of adjuvant chemotherapy per se, it is noteworthy that the patients who received 3 cycles of adjuvant MVAC did not appear to have improved overall survival, compared with those who were treated with surgery alone. This may have been due to the P53-mutant status of the cancers, but the data clearly did not provide any support for the routine use of adjuvant chemotherapy for invasive bladdercancer. Furthermore, an Italian randomized trial, assessing the utility of adjuvant gemcitabine-cisplatin (which seems to have found its way into “routine” use as an alternative to MVAC or CMV without level 1 supporting data), actually showed a non-significant survival trend AGAINST adjuvant chemotherapy . Another practice that doesn’t make sense to me is as follows: Despite the extensive evidence of improved survival from neoadjuvant combination chemotherapy and cystectomy or radiotherapy for invasive bladder cancer, compared to local modalities alone, surveys of patterns of practice consistently indicate that most patients do not receive this treatment. A recent study of the SEER-Medicare data base for 1992–2002 (which antedated the publications of the randomized trials) indicated that such treatment is rarely used . A report from the National Cancer Data Base showed similar data for the period 1998–2003 . However, two studies from contemporary time frames show that far fewer than 50% of patients receive such treatment [76, 77], despite the well-publicized, definitive survival benefit. Sadly it appears that the gate-keepers of invasive bladder cancer continue to believe that adjuvant chemotherapy yields survival benefit, and thus offer radical cystectomy with ad hoc use of subsequent chemotherapy (or no chemotherapy), depending on the pathology of the resected specimens. Perhaps the negative outcome of the EORTC trial will cause a change in this approach. Given the extensive data on the use of localized therapies for invasive bladder cancer, such as cystectomy and/or radiotherapy, it seems unlikely that a quantum leap of technology will allow innovations in these modalities to have a major impact on cure rates. As noted above, there are extensive level 2 data suggesting that laparoscopic and robotic approaches to surgery may reduce morbidity, although this view is controversial . To date, there are no level 1-2 data to suggest that proton beam radiotherapy will improve cure rates, but the NRG Cancer Trials Group is currently assessing the utility of adjuvant radiotherapy to reduce pelvic recurrence in its randomized GU-001 trial for pT3-4 disease. The anticancer efficacy of gemcitabine, the taxanes, some of the novel platinum complexes and tyrosinekinase inhibitors against recurrent and metastatic bladder cancer have been previously documented. Analogous to past clinical modeling, these constructs have been applied to the treatment of invasive bladder cancer. Perhaps of greatest interest has been the potential for using gemcitabine-cisplatin as neoadjuvant or adjuvant chemotherapy, based on its similar activity (with less toxicity) to MVAC chemotherapy for metastatic disease . No definitive trial has proven that gemcitabine-cisplatin provides a survival benefit in addition to definitive treatment in either the neoadjuvant or adjuvant setting. The problems of historical, non-randomized or under-powered comparisons, with the risk of case selection bias or follow-up bias, preclude meaningful assessment of the published data. My approach, when patients are not sufficiently robust to tolerate the MVAC or CMV regimens, is to discuss the potential utility of gemcitabine-cisplatin, explaining that this is likely to be less toxic, based on comparisons in patients with metastatic disease, but that it has not been validated in the neoadjuvant or adjuvant setting. Of course, the majority of patients who cannot tolerate MVAC or CMV will be unlikely to withstand the physical impact of radical cystectomy, so the discussion if often moot. However, another option, for the patient with renal dysfunction and no other medical issues, has been consideration of more gentle chemotherapy, such as the combination of gemcitabine-carboplatin. When approaching such a case, I first exclude renal tract obstruction by the tumor as the cause of the renal failure; if this is the situation, I usually resort to ureteral stenting or a nephrostomy and review renal function with a view to the use of standard chemotherapy. Where there is no ability to improve on a creatinine clearance of about 40 ml/min, it is reasonable to substitute carboplatin, although level 1 data to support this approach as beneficial over cystectomy alone have not been published. Another regimen that was recently reported in a randomized comparison against MVAC for metastatic disease is the combination of gemcitabine, cisplatin and paclitaxel (GCP) . Although there was a small increase in response rate from GCP, there was no significant survival benefit. Nonetheless, a Spanish cooperative group recently reported a survival benefit from adjuvant GCP after cystectomy in a presentation at the Annual Scientific Meeting of the American Society of Clinical Oncology , but their data were preliminary and there has been no definite follow up after an additional three years. 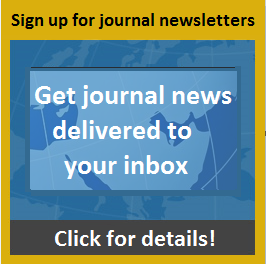 There have been recent reports at scientific meetings of the use agents targeting the epidermal growth factor receptor in the neoadjuvant setting for invasive bladder cancer , but the publication was not definitive with regard to extent or duration of response, or survival outcomes, and the data have not been peer-reviewed. Many studies have addressed the use of novel therapies in the neoadjuvant setting, and this approach has been quite useful as a modeling technique, but there are no level 1 data to prove clinical utility of these novel agents at this time. It seems likely that molecular prognostication and prediction will influence our approach to invasive bladder cancer in the future [25–27, 32] as we have made scant progress in surgery, radiotherapy or chemotherapy in the past decade. The Southwest Oncology Group is currently testing the utility of molecular prognostication in the so-called CoXEN study, SWOG 1314, which tests an established molecular panel [82, 83] for its predictive utility in the management of invasive bladder cancer. Of great interest has been a recent publication from the University of Southern California, describing an elegant statistical approach to comparison of conventional clinical prognosticators versus a novel genomic classification system . This cautious report indicated that the undefined panel of gene expression traits clustered to provide more accurate prognostication than do standard clinical nomograms. Also of interest, given the previous study from USC  supporting the survival benefit from adjuvant chemotherapy, this report suggested that, in multi-variable analysis, adjuvant chemotherapy does not confer prognostic benefit; however, it is important to emphasize that this was a post hoc analysis and did not represent level 1 data . Of more immediate potential benefit, the recent studies in the application of PDL-1 inhibition to the management of bladder cancer , with established activity against metastatic disease and potential utility to be tested in the neoadjuvant or adjuvant setting, present exciting opportunities. In parallel, the level of expression of PDL-1 in bladder cancer appears to offer a useful prognostic tool, correlating with the interplay between the biology of bladder cancer and resistance to its growth from the immune system. As part of improving outcomes in the management of invasive bladder cancer, it also will be important to continue to educate patients and their physicians about the progress that has been made, and to ensure that the medical community capitalizes fully on thosegains. Systemic chemotherapy has been shown in statistically significant and clinically relevant randomized trials to improve outcomes of definitive local treatment when used as first-line (neo-adjuvant) treatment. Classical adjuvant therapy has been shown to prolong disease free survival, and appears to produce an improved non-significant trend in overall survival, but no clinical trials have been completed to prove a significant survival benefit from this approach. Novel biochemical, immunological and molecular predictors of prognosis and response to treatment are being evaluated as aids to clinical management, although definitive proof of their clinical usefulness is not available. The substantial changes in diagnosis and management will ultimately improve survival from invasive bladder cancer, while reducing the toxicity of treatment. Well- designed clinical trials, linked to sophisticated and thoughtfully designed molecular studies, will be our pathway to the future. **By comparison, phase III trials proved clinical and statistical benefit of neoadjuvant MULTI-AGENT chemotherapy. Abbreviations: C, cisplatin; D, doxorubicin; M, methotrexate; Cy, Cyclophosphamide; V, vinblastine; G: gemcitabine; MRC-EORTC, Medical Research Council/European Organization for Research and Treatment of Cancer; RT, radiotherapy; NR not reached. NS non-significant. *Note irregularities of accrual, failure to obey randomization rules, only 91 cases.